I really enjoy Richard Adams. Part of it is his writing – he has an excellent style and a definite gift for description. When he talks about a place, it is immediately obvious that he’s actually been there. He uses multiple senses to tell you what a place looks, sounds and smells like, the feeling of the damp earth and the rolling mists, the tastes that seep through the air…. Not surprising when one is writing a book where a pair of dogs are the primary characters. And that’s another reason I like Adams. Lots of people write books about animals, personifying them and making them into almost-humans. But most of these writers tend to idealize the animals, put them into the sort of “noble savage” category which places humanity immediately in the wrong. The fox is almost unintelligible. Enjoy that. Not Adams. His animals are animals. In Watership Down, which was ostensibly a book for children, the animals live through fear, terror, despair and war. There is blood and death and pain, mostly because there is blood and death and pain in the natural world. He does acknowledge that he over-humanizes his characters, but without that, there would be no story. This book is about the intersection of animals and man, and asks a very important question: what is humanity’s responsibility towards the animals? While he may not know what the true answer is, Adams definitely knows which answers are wrong. The book begins in a scientific research lab, in the quiet hills of northern England, where any number of experiments are performed on any number of animals. Some of them are paid for by outside interests – cosmetics corporations, for example – while others are performed to, in the mind of the lab’s directors, further the scope of scientific knowledge. Adams’ utter contempt for this kind of activity is immediately evident when you read it, and he spares no detail in describing what happens in these experiments. Animals mutilated, burned, shocked, frozen, exposed to poisons in their air, water and food. Kept awake, asleep, isolated…. all just to see what would happen. And when they die, they are disposed of with no more thought than one might dispose of a burned-out light bulb. 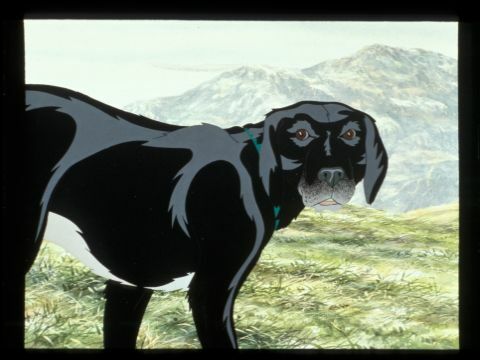 One of the subjects is a large black mongrel dog which is being used to answer the great burning scientific question of, “What would happen if we kept trying to drown a dog but never actually let it die?” Rowf (having never had a master, his name is just the sound he makes) has a single companion in the lab, in the cage next to him – a small terrier who, having had a master before, has a name – Snitter. Snitter has been the subject of a far stranger experiment, and the brain surgery has left a deep scar across his skull and a deeper rift in his mind. The two dogs manage to escape from the lab into the outside world, where they manage to survive, if only barely. And normally, that would be the end of the story. But then Adams reveals his antipathy for bureaucracy and the modern media, for where both of these intersect, terrible phantoms and ghouls can arise. Worried farmers, whose sheep are targets of the two hungry dogs, call their representatives to get answers from the recalcitrant lab. The ministers talk and talk about it, and when word leaks out to a well-known London tabloid, the story explodes. WAS the lab not working with many kinds of animals the night the dogs escaped, it asked. Among those animals, were there not RATS? And were those rats not the subjects of tests involving the horrible BLACK PLAGUE? CAN the laboratory ASSURE the taxpaying public that there is ABSOLUTELY NO CHANCE, none at all that the dogs are not infected with the virulent PLAGUE? The newspaper’s answer, the one that will sell more copies, of course, is NO. And so, the two dogs, who were lucky enough to escape and canny enough to survive, become known nationwide as the Plague Dogs, subjects of a hunt which escalates beyond reasonable proportions. 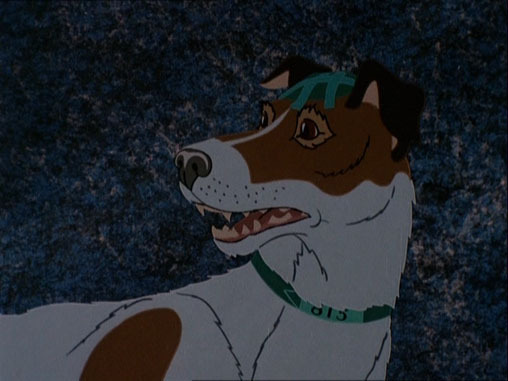 As much as this is an animal adventure story, a kind of twisted version of Homeward Bound, it is also commentary. There’s a lot of dog philosophy in here, for one of Adams’ gifts is being to get into the heads of the animals he’s writing. The two dogs agree on one thing – it is a dog’s place in the world to serve humanity. But how? Snitter, who’d had a good master once, believes that they are there to make humans happy, to bring love to a home. 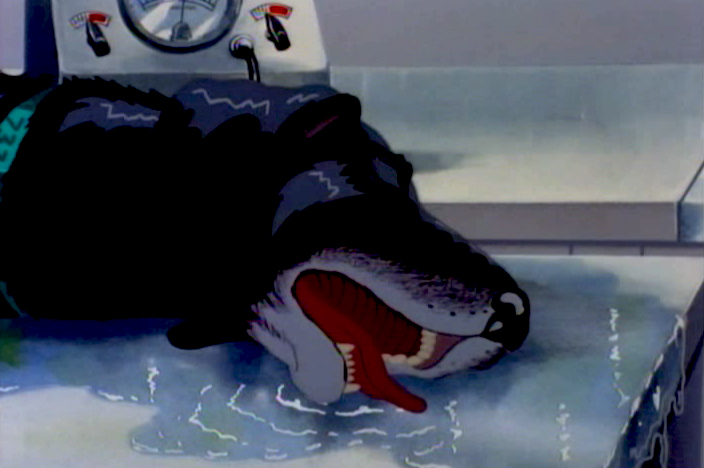 Rowf, however, having known nothing other than the laboratory, believes that dogs are there to be abused by humans for their unknowable purposes, and that by running away from the lab and the water tank, he has become a Bad Dog. Also, looking at the world from a dog’s perspective is interesting. Snitter, for example, believes that the newspaper-boy delivers a paper to the Master’s house solely so the Master and Snitter can play a fun game. Isn’t that boy nice? 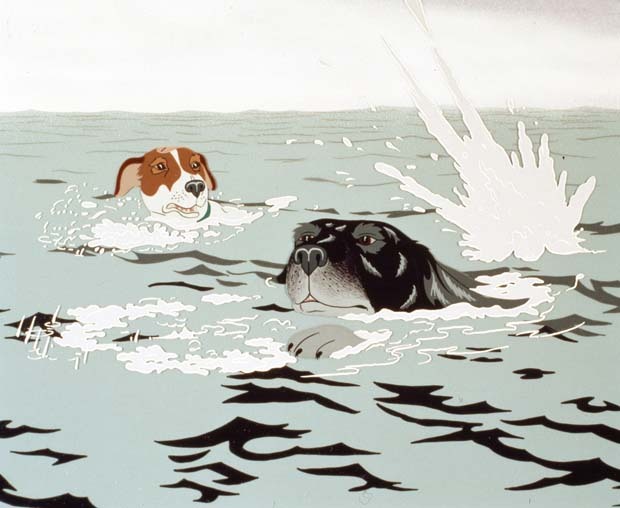 And having known only suburbia, he is shocked that humans have ripped up the world and replaced it with all these green things and mountains and deep holes filled with water – which, of course, Rowf believes are used to drown unthinkably huge animals much as he was drowned. Adams asked himself the question, “How would a dog interpret the world?” and got a lot of great ideas from it. And, as I mentioned before, there’s a lot of talk about humanity’s responsibility towards the animals. Should we use them for whatever purposes we wish? Of course not. Are we necessarily “better” than the other animals? More skilled, yes, more clever, certainly, but better? No. We are animals, and as such we cannot allow ourselves to place ourselves above the great interconnected web of life. We may never know what our purpose in Nature is, but we can know what our purpose is not. If I had to guess, though, he showed the original, “Dead Dogs” version to someone – his wife, his editor, his agent – and that person said, “No. Uh-uh, no. No no no. No.” And so Adams grudgingly breaks the fourth wall with a short narrative poem which is essentially him saying, “Fine, have your happy ending….” It’s a wonderful part, and I admit to getting a little choked up every time I read it. Just a little, mind you.